The health tech space has seen a boon in wearable consumer products over the past few years. Many of these wrist-worn gadgets claim to deliver a wealth of information, from your vital signs to how many steps you take. Some of the more popular devices, which are first and foremost designed to track your motion and movement, have added sleep-related statistics to their list of features. All this got us thinking: how well do these movement trackers, which are worn on the wrist, really work when it comes to capturing sleep data? After all, if you’re serious about your sleep, a far superior location for a sensor would be your forehead. This was a driving reason behind the design of the Beddr SleepTuner. We have spent the the last few years testing and developing our clinical-grade device, which is akin to having a sleep lab small enough to fit in your pocket. What’s so great about the forehead? The forehead allows for accurate measurements of blood oxygen levels and heart rate. This location is advantageous for collecting accurate blood oxygen saturation and heart rate data because blood supply from the supraorbital artery, a highly accurate place to detect heart rate, provides good perfusion. This area also shows less constrictive response to cold or other outside stimuli compared to other parts of the body where such data could be collected. The forehead is also a superior location for the Beddr SleepTuner because it allows you to see your sleep position, its impact on your breathing, and how often you stop breathing throughout the night. And the SleepTuner is the only product on the market that does this. Research on sleep positions points to side sleeping being very effective for treating sleep apnea. A recent study of 105 people with sleep apnea showed that 67% of them reduced their incidents of breathing issues like sleep apnea when they slept on their sides. The only way to know how long you hold a position while sleeping is to measure it, which the Beddr SleepTuner does remarkably well. The only way to know how long you hold a position while sleeping is to measure it, which the Beddr SleepTuner does remarkably well. The amount of oxygen your blood delivers throughout your body is crucial for sleep quality and your health in general. Oxygen saturation in the blood is determined by a simple pulse oximetry test, a painless and non-invasive test that measures the blood’s oxygen levels, which the Beddr SleepTuner performs while you sleep. Healthy oxygen saturation while sleeping is dependent upon your quality of breathing. 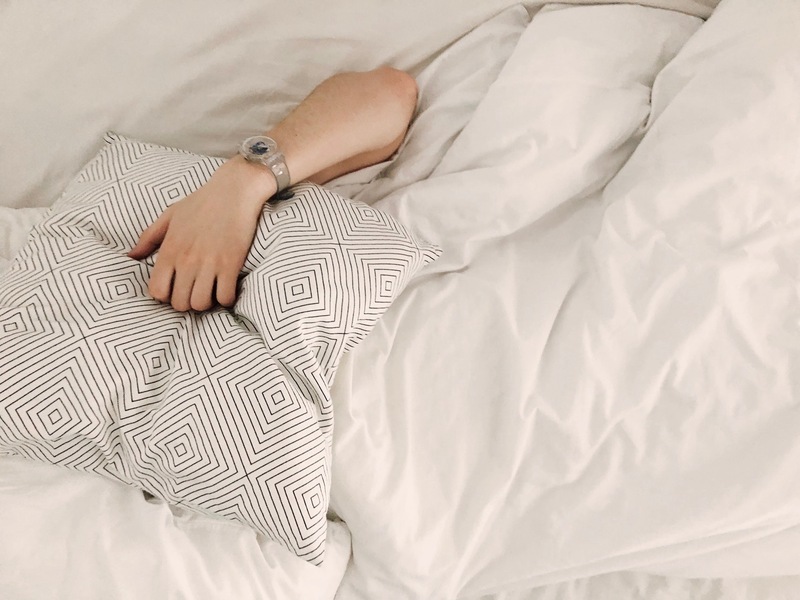 If you’re one of 54 million people in the United States with sleep apnea, your oxygen intake is being disrupted, which can lead to a multitude of health risks. Thankfully, the Beddr SleepTuner generates incredibly useful, hospital-grade oximetry data, correlated to your various sleeping positions. If you’ve ever stayed overnight in a sleep lab, you know that technicians attach dozens of sensors to the patient’s body, from a pulse oximetry sensor at the tip of the finger to sensors on the chest and legs to a microphone taped to the neck, and much more. There’s no mistaking that a sleep lab is the gold standard for collecting sleep data. But some patients feel strange surrounded by all the wires and machines. And ironically, all these sensors often disrupt the ability of the subject to sleep normally. The Beddr SleepTuner uses a clinically validated location to gather accurate blood oxygen and heart rate data, which you can use to learn more about your sleep in the comfort of your own home. And since you can use the SleepTuner as often as you want, it’s easy to track trends over several nights, as opposed to relying on a single night. Most users generally don’t notice the SleepTuner on their skin shortly after applying it because of the natural lack of nerve endings on the forehead. In addition, many users report completely forgetting it is on their forehead until they look in the mirror the next morning. 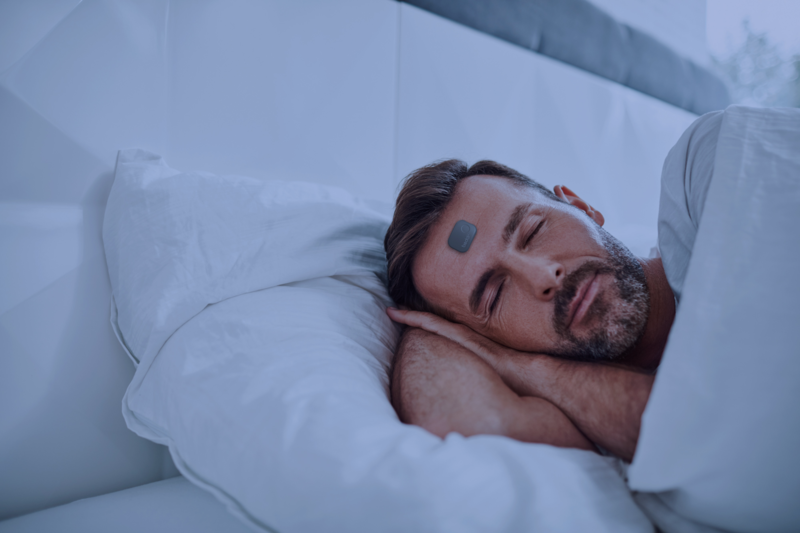 Once the SleepTuner is securely placed on the forehead via hypoallergenic adhesive, you can sleep naturally in your own bedroom, in a setting that’s familiar and comfortable. Straight out of the gate, there are limits to wearable technology worn on the wrist when it comes to tracking body movement, sleep position and vital signs during sleep. Let’s take a look at where the data collected from these kinds of devices may fall short. Tracking your movements while asleep can get tricky when the tracking device is attached to a single limb. There are plenty of moments throughout the night when your arm can move around but your body stays relatively stationary, and vice versa. Those who suffer from sleep disorders like sleep apnea are often encouraged to sleep on their sides, and studies show that this is the best sleeping position to help alleviate sleep disorders like sleep apnea. The challenge with using a motion tracker for this purpose is whether or not a device at the end of your arm can accurately gauge what position you are sleeping in. Conversely, the ultra-compact yet powerful Beddr SleepTuner combines PPG and accelerometer technology to accurately record oxygen levels, stopped breathing events (a symptom of sleep apnea) sleep position, heart rate, and sleep duration. Because the Beddr SleepTuner is worn in the center of the forehead, you can move naturally in bed as you sleep without disrupting the data collection or getting tangled up in technology. Whether you’re curious about sleep position and heart rate, or blood oxygen levels and stopped breathing events, the Beddr SleepTuner can help you measure what matters most to you with clinical grade accuracy.